Added themes to filemanager window. The above code will allow only administrators to see the filemanager. This will help you add more than one filemanager in the front-end, each for one user group (user role). Allows to disable default folders. Shortcode that allows to view all the folders assigned to the user in the front-end. Multiple Folders (Single Root) On The Front-end. Optional Same Folder Access to All Users. Generate Shortcodes for each Folder. Multiple Folders On The Front-end. Ban Access to Specified Users. Icons for major file types, and thumbnails for images. Supports Image editing (crop, rotate, resize). Admin can set access permissions (Read/Write) for different users. Admin can set folder permissions for different users. Upload Files / Create Files. 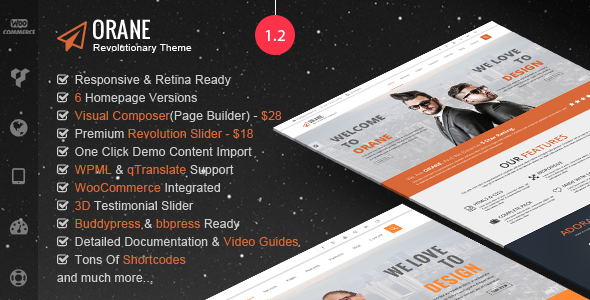 Admin can show the file manager in the front-end of the website using a short-code (more details in the documentation), only visible to the users who have permission for it. 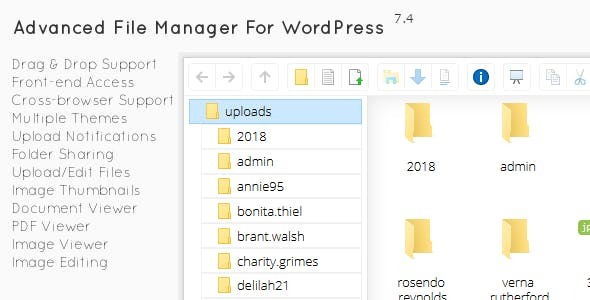 *This Plugin is based on an Open-Source File-Manager elfinder integrated with WordPress and additional Features listed above. 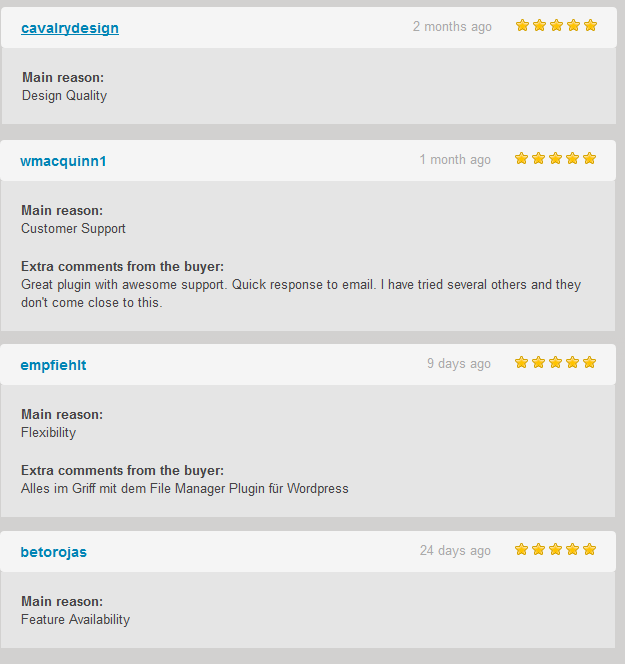 Its great to hear that u r working on ur great plugin! Thanks for the great support.